Google has partnered with Bitnami to launch a repository of open source software images on its cloud. Dubbed as Google Cloud Launcher, the service brings one-click deployment capability to customers. Developers relying on Infrastructure as a Service (IaaS) have to deal with installation and configuration of various dependencies before getting their applications to run in a VM. This process makes the deployment process longer and error-prone. To address this issue, Google added Cloud Launcher to its platform. Bitnami, a leader in open source virtual appliances market, provides the repository of pre-configured virtual machine images. Google claims that the service starts with over 120 images of popular open source software packages. 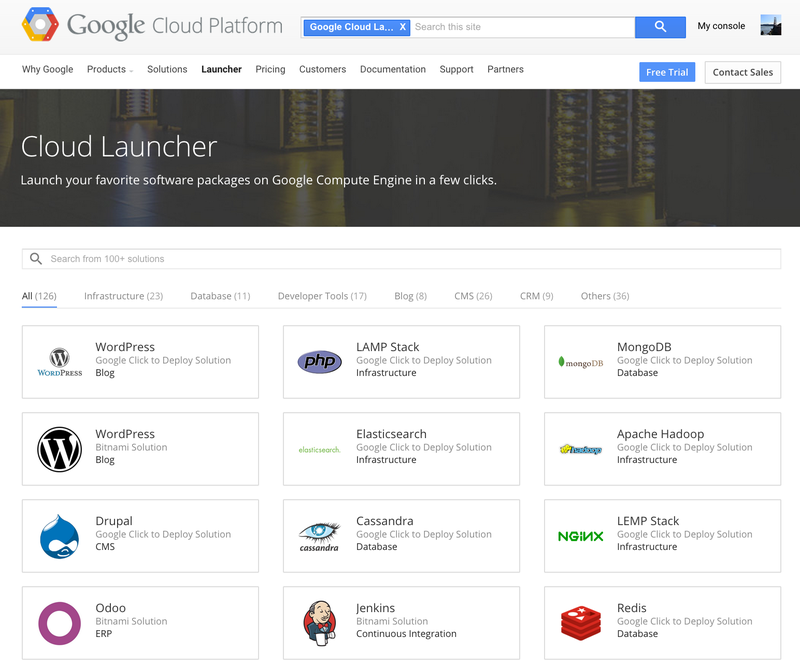 Cloud Launcher comes with popular open sources software packages such as Apache Solr, Django, Gitlab, Jenkins, LAMP, Node.js, Ruby on Rails, and Tomcat. It also includes databases like MongoDB, MySQL, PostgreSQL and applications like Wordpress, Drupal, JasperReports, Joomla and SugarCRM. The images are optimized and fine-tuned to run on Google Compute Engine. The VMs have hooks for Google Cloud Monitoring to track the health and performance metrics of the operating system and application software. Founded in 2003 in Seville, Spain, Bitnami focuses on producing quality installers and appliances for mainstream open source applications and development stacks. Bitnami Stacks are available for Linux, Windows, Mac OS X and Solaris. Developers can choose to install the packages locally on their machines, as VMs running on VirtualBox and VMware, or in the public cloud platforms such as Azure, Google Cloud Platform, and Amazon Web Services. We are excited to partner with Google to simplify the deployment and configuration of servers and applications and look forward to continue to expand our integration with Google Compute Engine. Delivering an exceptional user experience is important to us, and Compute Engine gives Bitnami users another great way to deploy their favorite app in just few clicks. In 2013, Microsoft launched VMDepot – similar service to Google Cloud Launcher – a curated catalog of open source images maintained by the community. Google Cloud Launcher is still not a real marketplace of VM Images. Cloud providers such as Amazon Web Services, IBM SoftLayer, and Microsoft Azure have a thriving marketplace of enterprise software applications, platforms, and infrastructure. Customers can launch VMs running software stacks such as Oracle, SAP, WebLogic, and SharePoint. Google is yet to launch a marketplace for enterprise customers.